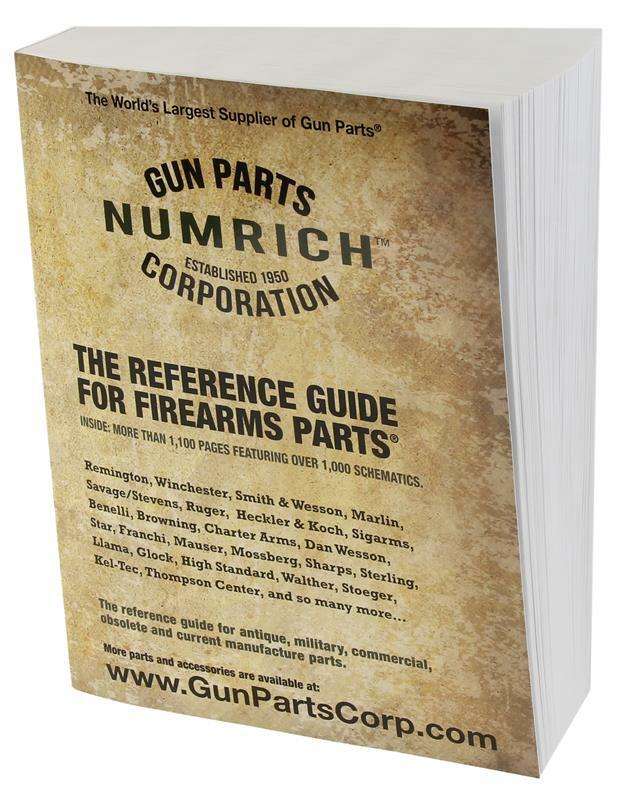 Numrich Reference Guide | Gun Parts Corp.
Numrich Gun Parts Corporation is pleased to introduce our first Reference Guide! A total of 1,100 pages loaded with more than 1,000 schematics and parts lists and cross-reference material for current, obsolete, military, and commercial gun parts. Note: The Reference Guide ships free via media mail. The .45-70 Springfield by Joe Poyer & Craig Riesch, Revised & Expanded 5th Edt. Swiss Magazine Loading Rifles 1869-1958, Joe Poyer, Revised & Expanded 4th Edt. Pattern 1914 & U.S.Mdl 1917 Rifles by Charles Stratton,Vol.4, Revised 2nd Ed. M17/M17A1 Protective Mask Care Manual, Soft Cover, 12 pages, 5-1/2" x4"